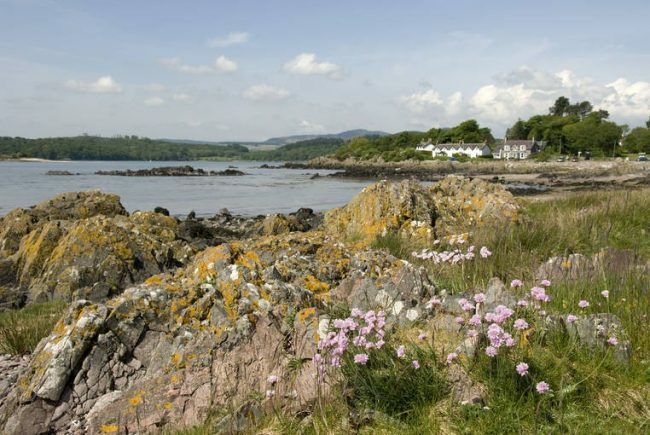 Part of a National Scenic Area, this National Trust for Scotland nature reserve is fringed with wildflowers and dotted with sailing villages. Further inland the shells and shingle give way to patches of ancient broadleaved woodland and meadows, rich with flowers, butterflies and birds. The important Dark Age trading post of Mote of Mark stands on a rocky outcrop. The 6th-century ramparts are still visible, and the summit has lovely views.